Get more information and buy your copy or copies now directly from the Publisher. Digital edition also available on publisher’s site. Buy directly from the publisher! 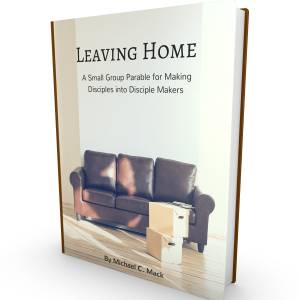 Is your small group healthy? Is it thriving, surviving, or declining? Is your group missional or in maintenance mode? In Small Group Vital Signs, Michael C. Mack explains why each of the seven indicators of small group health are critical to your group’s health. His helpful stories, biblical principles, and practical ideas for health and vitality will help you and your group grow in each area. If you’ve wondered why some small groups thrive and their leaders seem so energized and happy, you’ll discover it in this revealing book—and learn how to become this kind of leader! and the list goes on. CLICK HERE TO read all of the endorsements. Move Your Group(s) from Sitting to Sending!